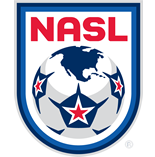 The Fall Season rolls on with a busy slate of games on Saturday night as clubs continue to jockey for a strong position with the goal of reaching the postseason. Last week, which saw two midweek games played as well, several players put in standout performances. 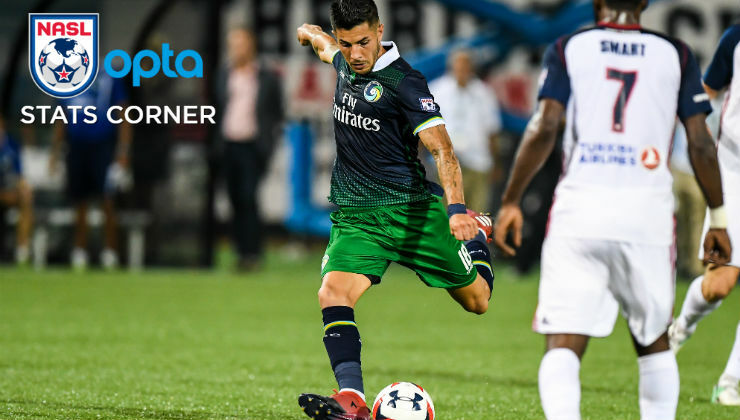 New York Cosmos midfielder Emmanuel Ledesma continues to be a creative force for the club, while Miami FC forward Jaime Chávez is starting to showcase his goalscoring form once more. Ledesma has brought skill and creativity to the Cosmos midfielder since joining ahead of the 2017 season. The midfielder currently has a wide gap atop the leaderboard in chances created with 45 on the year. Most recently, Ledesma created 10 chances and picked up an assist on the game-tying goal in the 3-3 draw with Indy Eleven. The Argentine midfielder has recorded games of 10, eight, and seven chances created this season, which rank as the top three in most chances created in a single game since 2016. Highlighting how dangerous Ledesma is on the field, he has created nine more chances than the next highest – Ben Fisk with 35 – and has only appeared in 12 of the Cosmos’ 20 games. New York, though, will need to start converting on more of Ledesma’s creativity. The midfielder only has three assists so far. The San Francisco Deltas are unbeaten in the Fall Season through four games and a lot of that success can be attributed to the play of defender Patrick Hopkins. Appearing in just five Spring Season games, Hopkins has been a stalwart in the defense in the second half of the year so far. He’s been contributing at both ends of the field, scoring twice in the last three games. He’s also made 21 clearances and San Francisco has conceded just three times in four Fall Season games. Miami FC had the most potent attack in the Spring Season led by Stéfano Pinho and Vincenzo Rennella. Now, the club is being led by Chávez after getting his chance with several injuries among Miami’s squad. Chávez scored two game-winners in Week 4 and he’s the only player in August to have multiple goals (2) and multiple assists (2). Chávez has directly been involved in four of Miami’s last five goals – either by way of assist or scoring. The club now can move into the top of the Fall Season Standings with a victory against Puerto Rico FC on Saturday night.